Affordable Jazz SMS packages with different incentives for prepaid users. Check the prices and other details below. If you are new to Jazz family, you will get a bonus of benefits when you first time activate the new SIM and you start using it. Furthermore, when you are not using your Jazz SIM for the last few months and you start using it again, you get some benefits from the company. Find the details below. Sometimes, you do not have sufficient account balance to get a monthly SMS package. So, you are no other option except getting a daily SMS package for the time being. In such situations, Jazz daily SMS bundles are blessing in disguise. Jazz offers a variety of daily SMS buckets for its prepaid users. Some packages include the free minutes or the free MBs to use for the social networking sites. Find the details below to select one for you. *Apna Shehar Package is valid for some selective cities including Shorkot, Rajanpur, Pir Mahal, Toba Tek Singh, Head Faqeeran, Mandi Bahauddin, Jhang, Dinga, Kot Addu, Malakwal and Dera Ghazi Khan. **This offer is exclusively for Karachi Jazz users. ***This offer is valid for 1 Super F&F number. 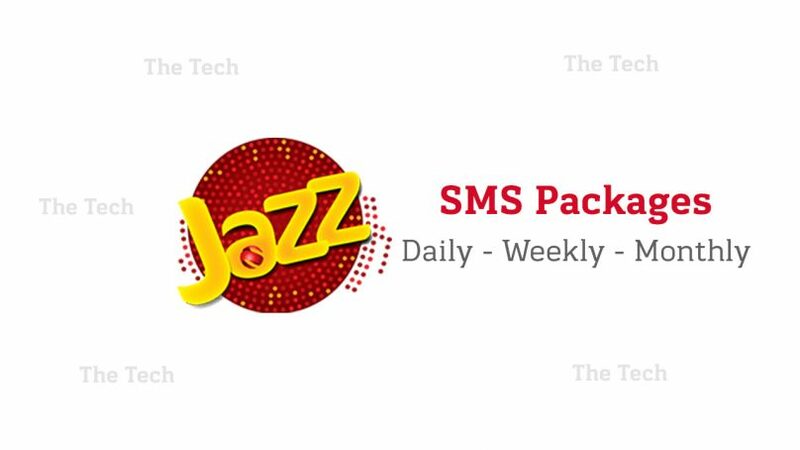 Jazz also brings some weekly SMS packages for its valued users. The weekly SMS buckets are very useful if you are not a frequent chatter. They allow you to be in touch with your friends and family members seldom through messaging. Find below the details of all of the weekly SMS packages for Jazz customers to know more about the volume, price and activation code. *The offer is valid for only Northern areas except Rawalpindi and Islamabad. It is also valid for some cities from Balochistan such as Quetta, Khuzdar, Gawadar, Pishin, Jaffarabad, Zhob and Ziarat. Jazz brings some very affordable monthly packages for the users who do not want to go through the activation process time and again. These packages also include very attractive freebies including the free MBs and free minutes. Find the details below. *The offer is valid only for a few cities including Quetta, Mandi Bahauddin, Pishin, Phalia and Dinga. The SMS buckets discussed above are only for the prepaid users. The daily SMS packages automatically renew if you have sufficient account balance. If you do not have enough balance in the account, the SMS package expires when the duration ends, and on the next recharge, you need to get the SMS bucket again. The package can be converted any time but the standard charges will be applied on every conversion. No conversion is free. If you want to check the remaining SMS volume, the company does not apply the tax. You can get only one SMS bucket at the same time.